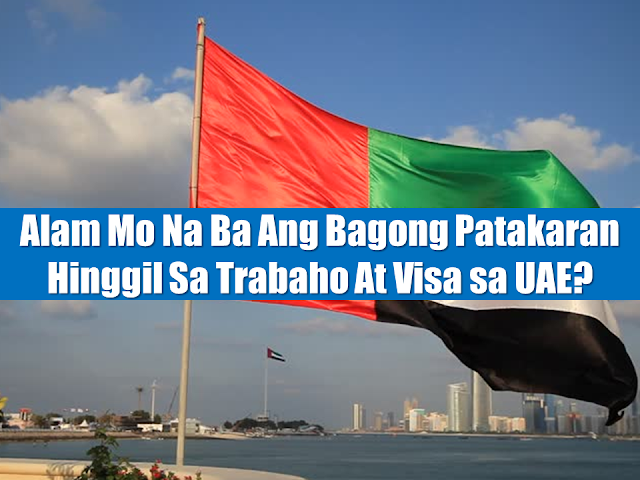 The United Arab Emirates is home to thousands of overseas Filipino workers (OFW) deployed in different sectors. The new rules about labor and visa approved by the cabinet of the present administration of the Gulf state may affect the lives of the OFWs working there. 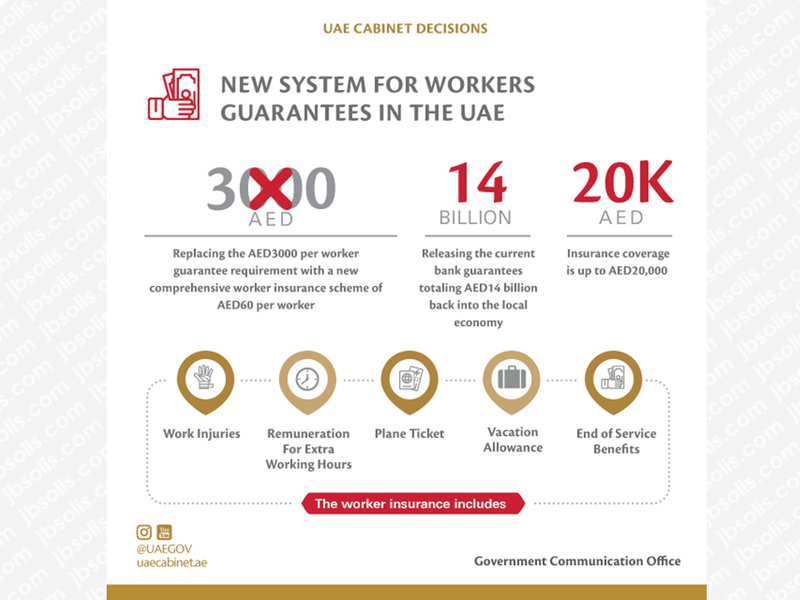 The Cabinet, chaired by His Highness Sheikh Mohammed bin Rashid Al Maktoum, Vice President and Prime Minister of the UAE and Ruler of Dubai, has adopted strategic decisions with regards to foreign workers' insurance in the private sector, as well as a legislative package of visa facilitation. A new insurance scheme for workers' guarantees has been introduced. The previous mandatory deposit of Dh3,000 per worker is now replaced by a new insurance that cost only Dh60 annually per worker. The newly created scheme secures workers' rights in the private sector and reduces the burdens on employers. It allows businesses to recover approximately Dh14 billion, representing the value of current guarantees paid by employers, which will enable them to further invest in the development of their business. The system also enhances the ease of doing business in the UAE, which effectively contributes to market prosperity and growth. The new system aims to achieve a wider coverage of the rights and entitlements for the workers. The value of the insurance policy in the new system is AED 60 per year for each worker and covers the workers' entitlements in terms of end of service benefits, vacation allowance, overtime allowance, unpaid wages, worker's return ticket and cases of work injury, in which the insurance coverage amounts to Dh20,000 per worker. 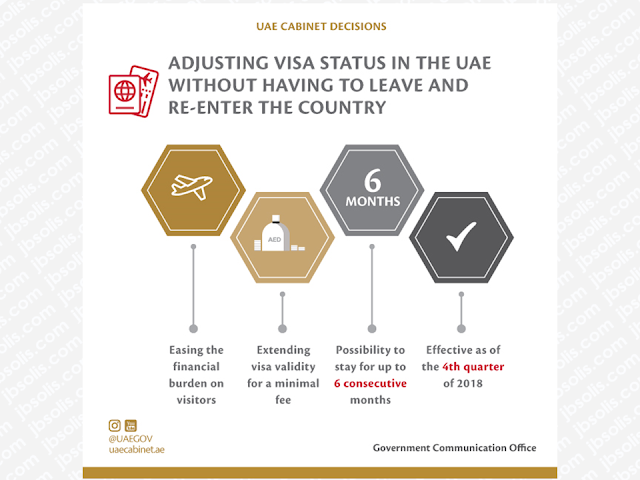 The Cabinet also adopted a number of visa facilitation for visitors, residents, families, and people overstaying their visa to cater to a wider segment of the society. The Cabinet approved a new legislative package, including a review of the current residency system to allow a two-year extension of the residency period for the dependents of their parents after finishing their university studies. A new decision has also been approved to exempt transit passengers from all entry fees for the first 48 hours. 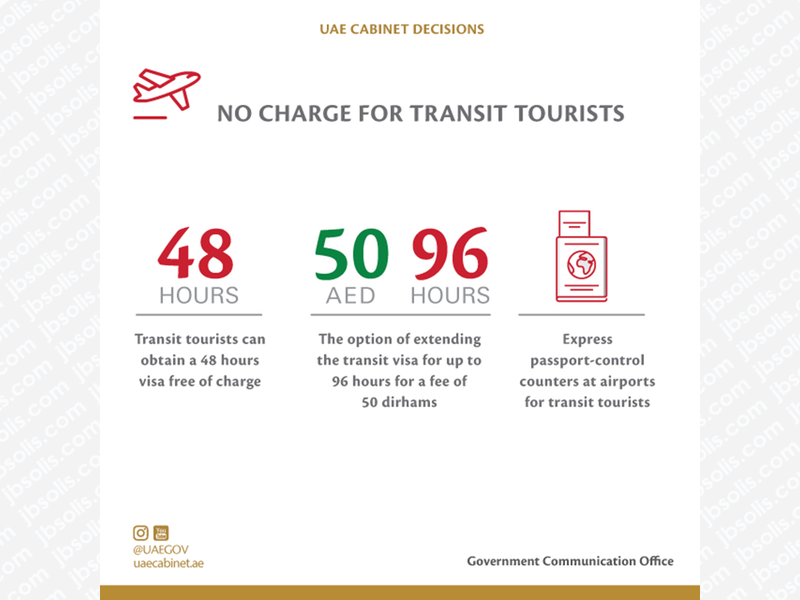 Transit visa can be extended for up to 96 hours for a fee of only Dh50. 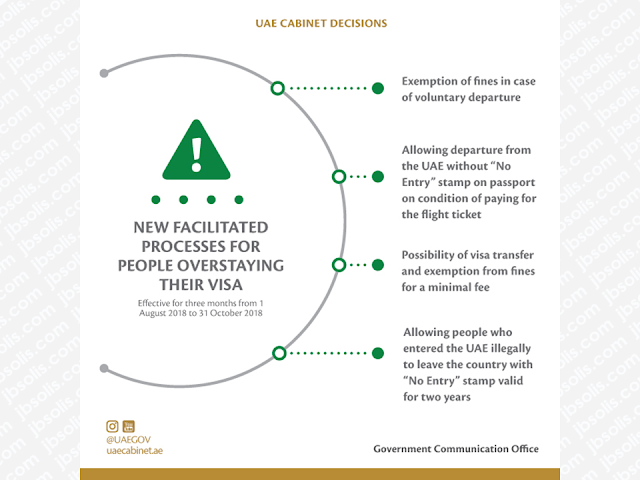 Obtaining transit visa will be facilitated by a number of the express counter at the passport-control hall across UAE airports. In the same context, the Cabinet adopted a decision to grant people overstaying their visa a chance to leave the country voluntarily without a "no entry" passport stamp. A new 6-month visa will be introduced for job seekers who overstayed their visa but wish to work in the country. 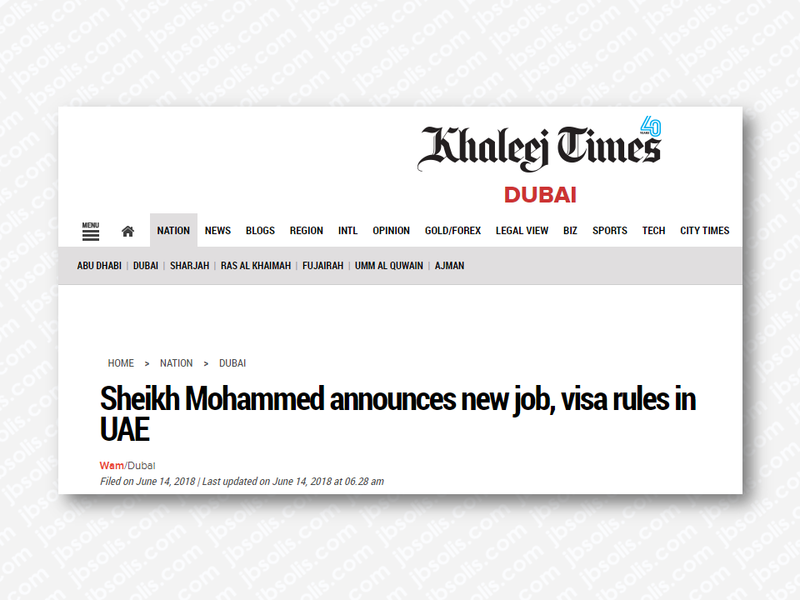 The temporary visa enhances the UAE's position as a land of opportunities and a destination for talents and professionals. 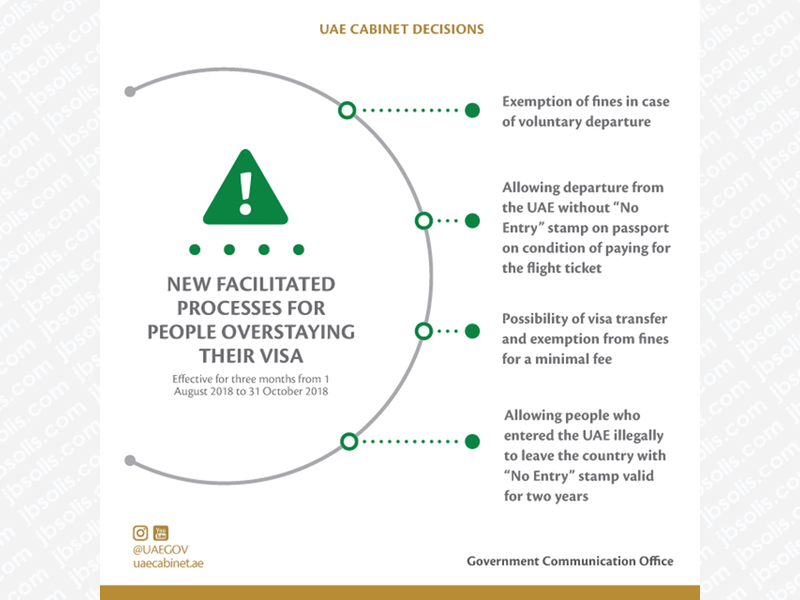 As for Individuals who entered the UAE illegally, they will have the chance to leave voluntarily with a "no entry" stamp for two years given that they provide a valid return ticket. Equally, in a step aimed at simplifying the process and easing the financial burden on individuals wishing to adjust or renew their visa, they can now do so for a fee without having to leave and re-enter the country. On the other hand, the Cabinet adopted a resolution on empowering "People of Determination" and enabling them to access the job market. The resolution provides them with the necessary support to obtain equal employment opportunities in various sectors in line with the Government's social development programs for all segments of the society. Can A Family Of Five Survive With P10K Income In A Month? How Filipinos Can Get Free Oman Visa? Do You Know The Effects Of Too Much Bad News To Your Body? Who Can Skip Online Appointment And Use The DFA Courtesy Lane For Passport Processing?